There may be no more utopian ideal of music (save for a Cagean walk in the woods) than the free-improvising orchestra, a group coming together with only a minimal plan if any, a spontaneous dream of community as sound, sound as community. It can be as beautiful and terrible as a traffic jam with horns laid on, a storm in the mountains, a summer explosion of crickets and cicadas or a troupe of Geiger-counter-wielding metal hunters arriving at an unmarked mine field (a massed language of clicks followed by much mixed sound). Conversely, it can be as dreary as a faculty meeting with multiple agendas, recurring components and suddenly-sprung team-building exercises that you didn’t anticipate (or did). 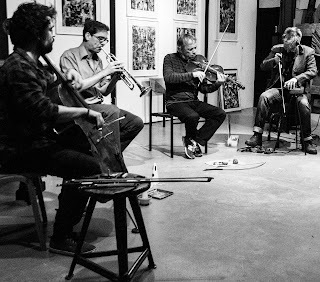 Lisbon is increasingly a producer of large-ensemble free improvisation (like the notable Lisbon Freedom Unit reviewed in this issue’s Moment’s Notice), most often under the direction of violinist/violist Ernesto Rodrigues. 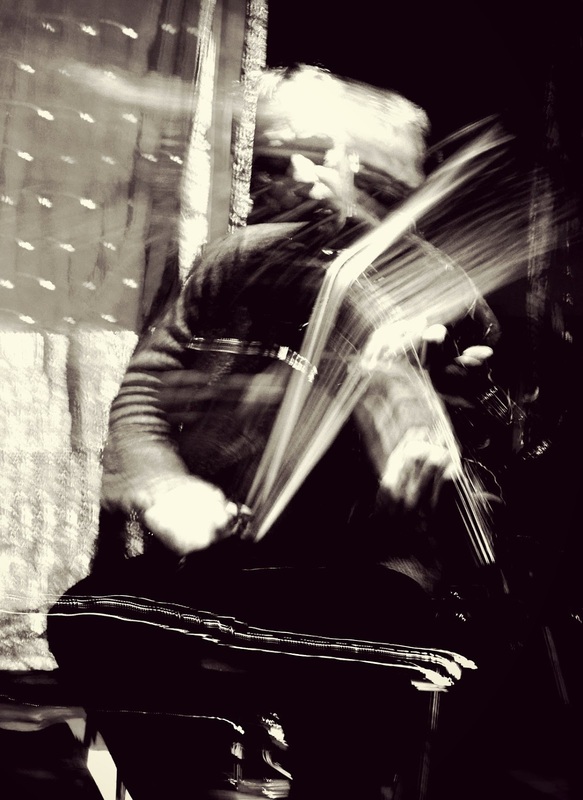 Rodrigues is the founder/director of the Creative Sources label, one of the most active free improvisation labels in the world; recently he has turned increasingly to larger ensembles. 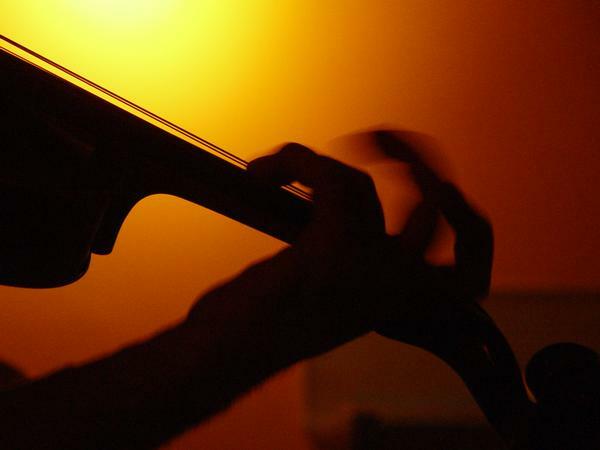 Among the early works on Creative Sources, such events are rare, like Rodrigues and his cellist son Guilherme playing with the Glasgow Improvisers Orchestra, GIO Poetics (CS114). There’s also a three-CD set released in 2007 of early works by the Rodrigues-led Variable Geometry Orchestra (VGO), a very large grouping drawing on the breadth of the Lisbon improvising community. 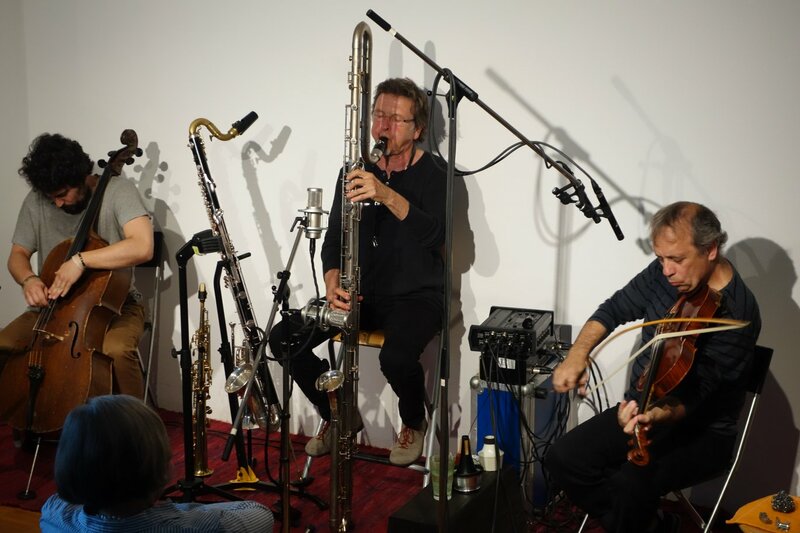 In the past few years, though, Rodrigues has been leading and recording a host of different shifting groups, like Isotope Ensemble, String Theory, Suspensão, Diceros, Octopus and IKB, as well as the now venerable VGO. 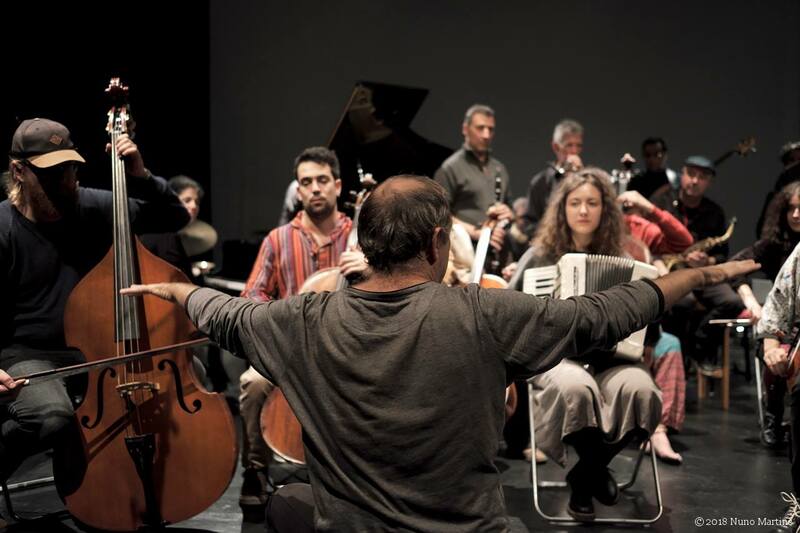 Part of what makes the recent activity possible is the scale of the Lisbon improvising community, a remarkably active group that has grown immensely in the 21st century. The city is home to two of the most active labels for free jazz and improvised music, Pedro Costa’s Clean Feed and Rodrigues’ Creative Sources, and the community of musicians, used to relatively scant rewards, feels more collective and collegial than cutthroat competitive. 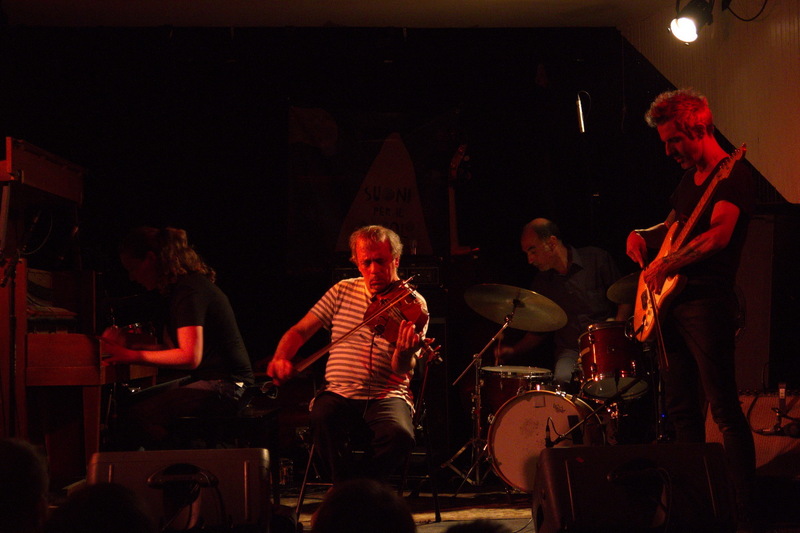 Among them, too, are musicians who readily move between free jazz and various modes of free improvisation, like cellist Miguel Mira, guitarist Luis Lopes, pianist Rodrigo Pinheiro and bassist Hernâni Faustino. As a frequent summer visitor, I can’t help but include Lisbon’s ambitious, forward-thinking festival, Jazz em Agosto, among the inspirations. 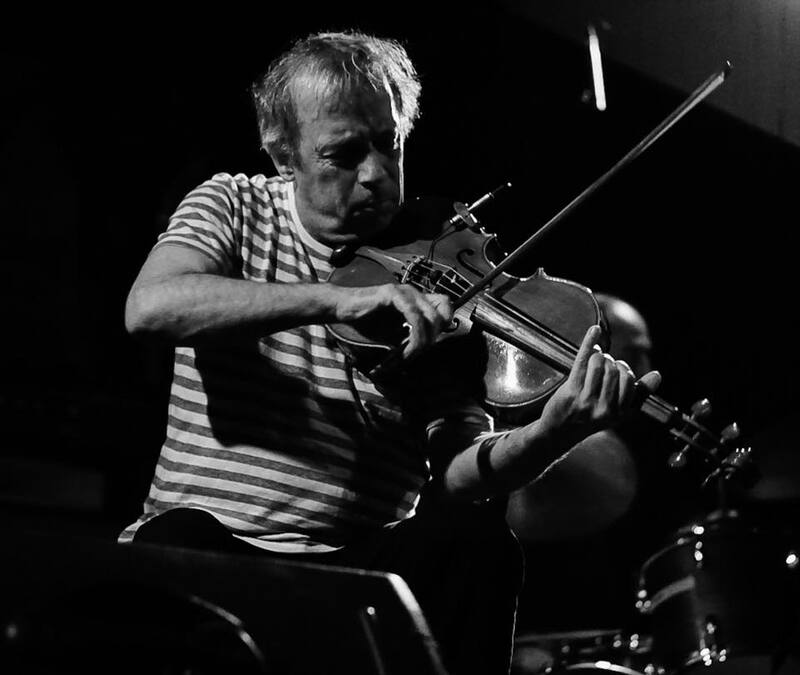 It has provided a multitude of opportunities to hear the greatest of large improvising ensembles, including many that rarely get to travel far from their home bases. Over the past 35 years, Sun Ra, Trevor Watts, George Russell, Willem Breuker, Kenny Wheeler, Anthony Braxton, Bill Dixon, Otomo Yoshihide, Evan Parker, John Zorn, Frode Gjerstad, Peter Brötzmann, Wadada Leo Smith, Butch Morris and Barry Guy have presented improvising orchestras in Lisbon, along with the Instant Composers Pool Orchestra, Globe Unity Orchestra, Rova’s Orkestrova – Ascension and even Vancouver’s NOW Orchestra, a Canadian band that has likely played Lisbon as often as it’s played Toronto. While Rodrigues’ several ensembles function on different principles of musical space and time, they have certain key characteristics in common, from their form to their presentation. There are always Rodrigues’ wide-ranging sources of inspiration, analogies drawn from geography or cosmology or the table of elements, and the music the orchestras develop is alive with multiple systems, internal dialogues and memoranda, parallels to other processes and aspects of thought just below the surface, a kind of collective mind, an auditory encyclopedia, a special group consciousness born of long familiarity. There’s something about the activity that’s reminiscent of Bernie Kraus’s Great Animal Orchestra and its account of the origins of music in the natural environment. It’s sound-friendly, with a kind of pure musicality, relaxed in a way that’s in sharp contrast to the inbuilt theatricality of much conduction, that can sometimes feel like Canetti’s notorious description (in Crowds and Power) of the 19th century conductor, but further drained of all musical rigor. I’m restricting my comments here to just a few of these groups and releases. It’s one of the difficult aspects of coming to terms with this music that there’s just so much of it and that it’s so rich, given the frequency with which Rodrigues convenes these orchestras and the quality of their music. The VGO is the mother of all Rodrigues’ larger projects. In 2007, he released Stills, the three-CD set of the group that occupies a special place, CS100, in the Creative Sources catalogue. It was already a sprawling ensemble, rich in winds, percussion and electronics, taking in a broad swath of the Lisbon musical community. 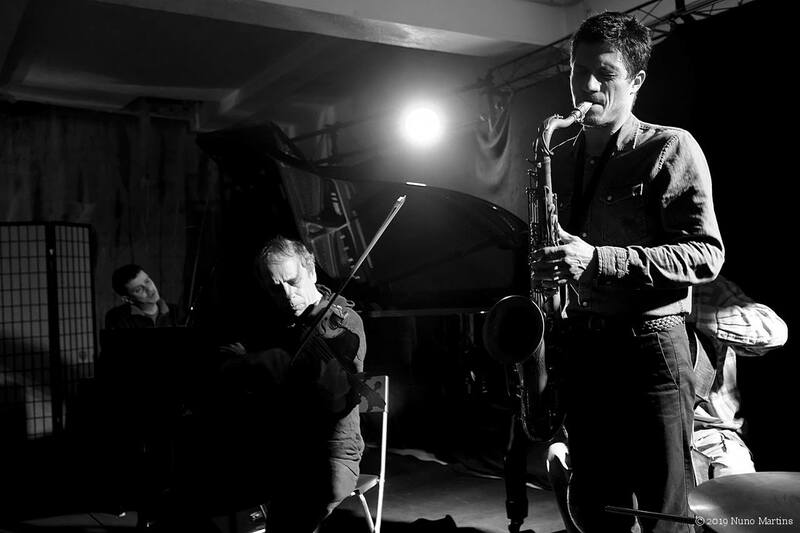 At the time it included musicians like electronic improviser Raphael Toral, local free jazz pioneer Sei Miguel, Brazilian saxophonist Alipio C Neto and the young pianist Rodrigo Pinheiro who would soon distinguish himself in Red Trio. Through the years, numerous musicians have passed through the large ensembles, but there’s a core of musicians who frequently appear. Central to the project is the electronic musician Carlos Santos, who in addition to playing acts as recording and mixing engineer, and who is further responsible for Creative Sources cover designs. Others who appear frequently include alto saxophonist Nuno Torres, trombonist Eduardo Chagas and guitarist Abdul Moimême. “The music produced by the VGO results from layers of acoustic and electronic sound matter that constantly search for detail and meaning. Its sounds contain subliminal as well as psycho-acoustic characteristics and include the possibility of complete silence. The music emerges as if from nothingness only to disappear once again back into it. Thus chaos is formally organized with the use of new concepts of indeterminism and instantaneous composition, as well as through the asymmetrical eruption of alternated moments of sound and silence (the absence of identifiable sound). Nevertheless, sound prevails. “The conduction is operated by balancing the sound masses that travel in the acoustic space, dictating the construction of the real-time composition, and thus revealing the organized juxtaposition of specific instruments as mobile sound groups. This leaves space for the musicians to regain their natural rhythm and breathing, as well as their sense of random pulsation. It also allows them to listen to all the sound events that are happening at any given moment and thus to act accordingly. On the contrary, they can simply listen to what another musician has just begun. The musical space is thus filled only with the intrinsically essential elements. That silence to which Rodrigues refers is a virtual constant in his large ensembles. Regardless of the size or instrumentation, the performance begins there, in near silence, voices entering reluctantly, the music arising as a seeming necessity. The most recent VGO release is a two-CD set, Ma'adim Vallis(CS494), named for the enormous valley on Mars “about 700 km long ... over 20 km wide and 2 km deep in some places ... thought to have been carved by flowing water early in Mars’ history” (Wikipedia). The first CD, Construction #47, stretches the ensemble to 36 musicians (including a choir of four melodicas supplementing eight reeds, one of them an accordion), while the second, #48, scales it back to 19. In part based on its scale, its receptivity to saxophonists and its long history, VGO retains the strongest links to free jazz, with elements that reach back 50 years to the Jazz Composers Orchestra. Amid the vast moving blocks of sound, the sudden squalling roar of tenor saxophonist Paulo Galão harkens back to the original liberating force of musicians like Archie Shepp and Pharoah Sanders. 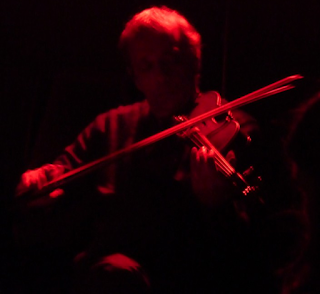 Suspensão is among the most intimate of these ensembles, an octet on Suspensão X, Porto Covo(CS418), from 2015, a tentet on Suspensão XI, Physis (CS496). It is one of those points where the level of group consciousness seems to be at the highest level. Porto Covo, named for a coastal village south of Lisbon, starts with its evocative cover. The cover design by Carlos Santos is a minimalist one, light sand against contrasting blues of sky and water, with Mercator projection lines drawn over them, physical and abstract representations converging in the plane just as the two are alive in every sound. That movement that Rodrigues describes, between the tense and the still, is a kind of perfect balance, resulting in an encroaching sense of the microsecond, the infinitely detailed instant a sample of consciousness. It’s an art of great restraint, where the pop of a saxophone key can register as a significant event. 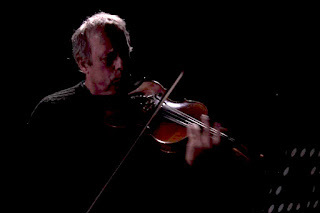 The CD Urze (CS426) testifies to Rodrigues’ ability to construct absolutely distinct ensembles within the broad range of his activities, even turning his personal sound palette inside out as he exchanges his violin and viola for a collection of other string instruments from distinctive folk traditions: a small harp, zither, dulcimer and rebec. The collective emphasis is on quiet instruments, and the group largely eschews both orchestral strings and the louder brass and reeds (Guilherme Rodrigues’ cello and pocket trumpet are the sole representatives). Some of the musicians in the nine-member ensemble have appeared only recently in the Creative Sources orbit, like André Hencleeday (he’s credited with megaphone on Ma’adim Vallis) who plays piano and psaltery here, or else appear infrequently, like “Flak” (João Pires de Campos), a guitarist who turns up playing acoustic in some of these large ensemble projects and who first appeared in the VGO’s Stills. Psaltery, acoustic guitar and Rodrigues’ zither are keys here, the entry point to the “little sounds,” myriad discrete events with relatively short decays, creating an unlikely pointillist blur. The winds, restricted largely to Bruno Parrinha’s clarinets and Paulo Curado’s flute, are also played with a special delicacy. That stability assumes the form of a drone in Tellurium (CS500), frequently a hive of sound created by a sixteen-member orchestra that tends strongly to low strings, including in its number five cellos and four basses, creating a droning, moving hive of great mass. Sul (CS534) presents a similar string ensemble with American percussionist Andrew Drury matching discrete sounds with the string continuum. The music often has the serenity of chance composition, of an orchestral piece by Cage, with patterns that move at once toward symmetry and asymmetry. As monolithic as these performances can be, there are always instants where individual interactions can suddenly stand out. Here it’s the slashing power of the two basses, played by Hernâni Faustino and Alvaro Rosso. Lisbon’s Hot Clube de Portugal, now more than 70 years old, is one of the world’s mythic jazz rooms. It’s an important stopping point for celebrated touring musicians, a vital space for Portuguese jazz artists and an anchoring center for jazz appreciation and education. But the city’s a well-established hot spot for experimental jazz and free-improv, especially in August, thanks to Jazz em Agosto, a 35-yearold festival that has been run by Rui Neves— also a jazz broadcaster, critic and producer—for much of its history. Regarding Lisbon’s jazz resources, Neves pointed to the improvisation-oriented Creative Sources label, run by violist Ernesto Rodriguez. Aglutinador de gentes talentosas em inúmeras e variadas formações num valoroso trajecto de anos e anos, o mentor da imparável Creative Sources apresenta nas Damas um novo quinteto assente nas cordas e na percussão. Ao chamamento do violino e da viola d'arco de Ernesto Rodrigues respondem o violoncelo de Miguel Mira, o contrabaixo de Hernâni Faustino, a guitarra de Luis Lopes e a percussão de Gabriel Ferrandini. Proposta pouco usual vinda de um músico com aptidão larga para o desafio representada por músicos bem reconhecidos nesta casa e nas lides das músicas mais indefiníveis - da improvisação livre à contemporânea, do jazz ao lower case. Ernesto Rodrigues, Carlos Santos y Abdul Moimeme son tres de las figuras más interesantes de la escena de la música experimental en Portugal, un país con mucha tradición de música de vanguardia. El trio combina música acústica (Ernesto Rodrigues), electrónica (Carlos Santos) y electroacústica (Abdul Moimeme), este último acompañado de una guitarra con presencia visual. Azkuna Zentroa. Bilbao. continuum de roues des voitures contre le bitume, au martèlement des trains contre les rails, aux rumeurs pesantes d’avion à réaction, limite de l’infra basse, des choeurs de climatiseurs, toutes sortes de machines domestiques. Longue agrégation de chants d’oiseaux proches d’un jeu déstructuré de saxophone ou de giclées d’harmoniques de cordes violées dans leur intégrité mélodique. La « musique créative » est cousine de la musique classique en ce sens qu’elle est fortement « rubato » : accélération et décélération structurelle. Les improvisateurs doivent écouter pour interagir ensemble. Ils cherchent une écoute profonde pour réagir dans le sens des autres intervenants. Ils approuvent. Ils imitent en variations diverses. Ils cherchent à s’approcher des rythmes et tonalités surgis dans l’instant. Certains font un truc parallèle sans chercher à compléter le discours des autres. Mais est-ce que la musique est un discours ? Si par hasard, elle l’est, voir, savoir, tendre vers l’autre, entendre et répondre leur importe peu. Situation de gens qui parlent tous en même temps sans aucune envie de se répondre. Chacun son truc. Tout le monde tape dans le ballon, considéré métaphoriquement comme une grosse note rebondissante. Cacophonie de l’équipe. Folie finie. Oiseaux tournoyants sur les places du sud au soleil couchant piaillant par milliers. Chaos sonore des tramways « Electricos » brimbalant sur leurs deux rails, comme une portée au hasard Baltazard. Un rail par note. Une quinte « Fado » plus du bruit blanc et une quarte augmentée Fa dièse Do. Nostalgie d’un monde sonore qui n’était bien qu’en rêve. l’agrégat sonore. Aux sources de la « musique créative » Derek Bailey du label Incus de Londres, avait imaginé un langage atonal à base de quartes augmentées, septièmes majeur et secondes, intervalles dissonants pour supprimer les relations harmoniques entre les sons. Le saxophone hurlant est souvent une variante de la sirène de Varèse : « Ionisation pour 13 percussionnistes » est clairement à tempo. Les figures sont complexes, mais on entend bien une pulsation à travers des figures rythmiques sophistiquées. La sirène omniprésente, annonciatrice de catastrophes plane au-dessus du rythme. La partition est écrite avec des mesures à trois, quatre ou cinq temps sur un tempo constant. Cette musique d’avant-garde est rythmique au même titre que les peintures cubistes de Picasso font penser aux masques africains. à la peinture abstraite ? Des grosses taches de projection de son. Des formes larges et variables. Catapulte de boucan. Géométrie de notes. Ensemble de sonorités individuelles. Mathématiques modernes. Roulement de cymbale. Perceuse à l’attaque du métal. Certaines sortes de « musique créative » sont voisines de la musique dite « industrielle », mais à plus bas niveau en décibel. D’autres précurseurs sont les musiques « lettristes » d’Isidore Isou et le « Cri-rythme » de François Dufrêne, relevant de la poésie sonore. La « musique créative » est un bruit-rythme, un anti-rythme, un para-rythme, un bégaiement-rythme, un barouf-rythme, un moteur-rythme, un scratch-rythme, un silence-rythme. D’autres sources d’inventions toujours exploitées dans la «musique créative» sont le théâtre musical de Mauricio Kagel, les compositions électroniques de Karlheinz Stockhausen et toutes sortes d’expérimentations de la musique contemporaine. habituels, j’avais utilisé le larsen de ma prothèse auditive (on le génère en le retirant de l’oreille et en mettant sa main en conque pour faire une sorte de wah wah très aigu et de faible intensité). Cette musique est une sorte de camaïeu de bleu. Un monochrome de continuum invisible. La « musique créative » des nuages, de la pluie, du soleil et de l’air du temps est jouée par des musiciens au ralenti de la relativité. Paradoxe et obsession de la musique du silence. J’entends que je suis sourd. J’entends donc je suis. Je suis sourd donc je ne suis pas. Entendre le silence. Se taire pour s’accorder au silence. faux, c’est vrai. » Paradoxe du menteur datant de l’antiquité, souvent cité par le précurseur de l’ordinateur, Alan Turing. J’entends une note tempérée. Si c’est juste, c’est faux. Si c’est faux, c’est juste. Une note tempérée est fausse par rapport à la justesse naturelle, tout le monde le sait. Je suis sourd. Si c’est vrai, c’est faux. Si c’est faux, c’est vrai. Pourquoi visualiser la musique par une écriture, une partition graphique, ou des symboles quelconques? Les virtuoses tziganes de la « Mittel Europa », les joueurs de kora de l’ancien royaume du Mali ou les musiciens d’Inde du Nord jouaient d’oreille et de mémoire une musique complexe. Même s’il existe en Inde du Nord un système d’écriture qui sert uniquement de guide à la mémorisation. On ne lit pas en jouant. On lit pour apprendre par coeur (comme l’on-dit bizarre) et ensuite la musique semble venir d’un territoire céleste, mais elle surgit de la tradition. sens. L’image est partout. Je suis obligé de plonger dans l’iconographie pour atteindre l’abstraction de la musique. La musique se déroule dans un temps constant. Le visuel et l’écriture peut se lire du futur au passé ou du présent au futur. « Novo Video Scratch Orchestra » est une continuation du « Treatise » de Cornelius Cardew et de son groupe « Scratch Orchestra ». Ma version « novo » serait plus proche de « treatise » traduite comme « traitrise » que son sens premier de « traité ». Les règles restent identiques à la version originale : aucune règle. C’est de l’improvisation totale avec quelques indications minimums. L’idée de base est de remplacer une jolie partition graphique de style musique contemporaine par du veejing, de la vidéo graphique pleine de couleurs et de joie. (Ce n’est pas tant une trahison parce que Cardew cherchait à faire une musique d’avant-garde s’adressant au peuple et non à une élite). Il est temps de mélanger tous les arts pour créer du nouveau. Les deux portées muettes en pied d’écran renvoient à l’idée de départ de « treatise ». La demi-heure de vidéo fabriquée en amont sera diffusée dans la salle, dans le dos des musiciens qui ne sont même pas obligés de la regarder. Des miroirs posés sur les pupitres comme des rétroviseurs permettent aux musiciens de visualiser la vidéo projetée derrière eux. Manipulation technique minimum. dans le fond d’un puits miraculeux de conte de fées. L’image était ternie bizarrement par son reflet. L’image devenait magique comme si elle surgissait d’avant le siècle de la révolution technologique. Lisbon-based prolific record label Creative Sources has just released a new album with violin, viola and clavichord player Dietrich Petzold, viola player Ernesto Rodrigues and cellist Guilherme Rodrigues. 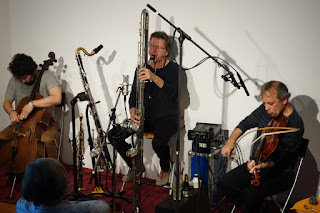 The album, simply entitled “Ljubljana”, was recorded on 17 May 2018 at Zavod Sploh’s Confine Aperto event, held at ŠKUC Gallery in Ljubljana. 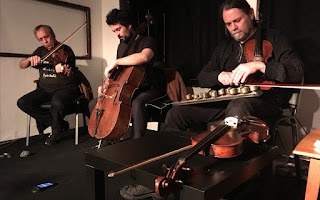 The German-Portuguese trio released their debut album “Sacred Noise” last year, and since then they have presented two further works: “Crane Cries” with Estonian violin player guest Elo Masing, and “Dis/Con/Sent” with German double bassist Matthias Bauer. “Ljubljana” marks the fourth collaboration between Petzold and the Rodrigueses, and it is another chapter in the development of their intervowen collective language of sound of strings. Está anunciada uma nova edição do Creative Sources Fest, o festival organizado pela editora portuguesa Creative Sources que, nos últimos anos – e neste mais uma vez –, se tem realizado no O’culto da Ajuda, em Lisboa. São cinco os dias de música ao vivo, de 5 a 10 de Novembro, com um total de 30 concertos. Algumas importantes participações estrangeiras se registam, como a da Shelley Hirsh Band (foto acima) e as parcerias com músicos nacionais por parte de Mia Dyberg, Ramón López, Wade Matthews, Étienne Brunet, Johan Moir e Fred Marty, entre outros. Alguns nomes de topo da improvisação experimental e do jazz criativo que por cá se praticam estão incluídos, como Rodrigo Amado com a sua Motion Orchestra (o trio base mais participações extra), o Sei Miguel Trio, Ernesto Rodrigues em diferentes contextos ou Miguel Azguime a solo. Cada um dos dias do CS Fest termina com uma grande formação da nebulosa Creative Sources, designadamente (e por ordem de aparição) String Theory, Isotope Ensemble, IKB, Suspensão, Octopus e Variable Geometry Orchestra. O arranque é feito pelo Free Pantone Trio no dia 5, projecto de que acaba de ser publicado disco. Seguem-se o duo de contrabaixos de João Madeira e Hernâni Faustino, Ernesto Rodrigues em quarteto com Guilherme Rodrigues, Fred Marty e Carlos Santos e o duo de teclados e percussão Welcome to Silkeborg. A 6 apresentam-se a primeira de duas versões dos Spiegel, um solo do contrabaixista Fred Marty, o Lisbon String Trio de Ernesto Rodrigues, Miguel Mira e Alvaro Rosso com o tubista Gil Gonçalves como convidado e Wilfrido Terrazas com Hernâni Faustino e o já referido Ramón López. No dia 7 de Novembro sucedem-se Miguel Azguime, André Hencleeday, uma dupla formada por Gianna de Toni e Biagio Verdolini e o trompetista Sei Miguel com Fala Mariam e Bruno Silva. Inscrit dans la mouvance improvisée depuis plus de trente ans, le violoniste et altiste Ernesto Rodrigues est également à l'origine du label Creative Sources, une structure lisboète accueillant en son catalogue les matières sonores les plus inédites. Loin du bruit et de la fureur, aux confins parfois d'un "réductionnisme tolérant", il pratique, notamment avec son fils Guilherme au violoncelle et Carlos Santos à l'ordinateur et au synthétiseur, une forme de composition instantanée, ou tissage immédiat des lignes émergeant au cœur de l'acte musical. Cross-pollination in the arts is always a good thing. An example of this is when musicians from different geographical locations get together to share their experiences in a concert setting. This is especially exciting in improvised music, because you never know what might happen. Such was the case on two different nights at the Suoni per il popolo festival last week. 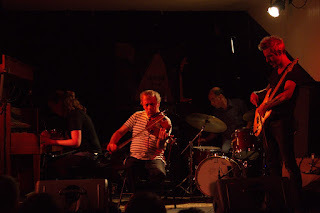 June 12 featured a Lisbon-Montreal encounter at the Casa del popolo, which was the first part of an evening devoted to daring improvisational music (the second part featured Norwegian bassist Ingebrigt Haker-Falten’s Texas band The Young Mothers). Heard three days later was the second installment of Trading Places, a collaboration between Montreal and Vancouver improvisers (which was followed by a solo set by drummer Will Guthrie). 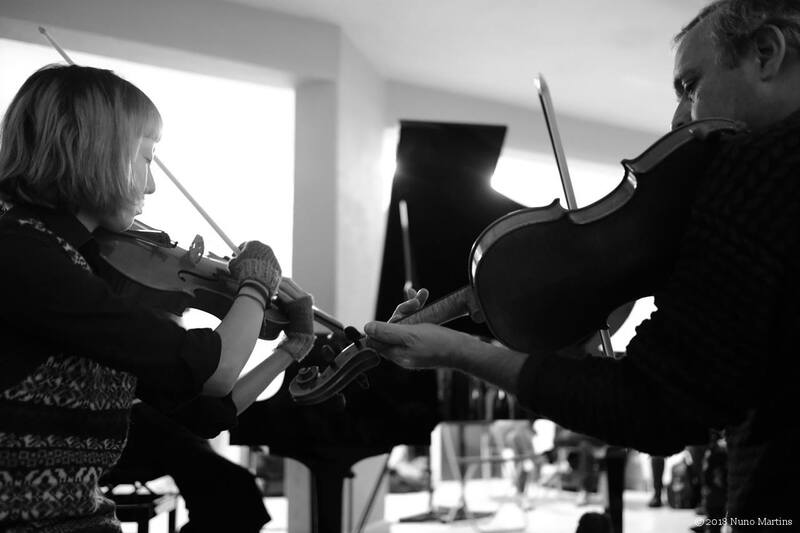 First instituted in 2016, this initiative allows two musicians from the Canadian West Coast to spend time in Montreal and play with locals during the festival’s run, including an informal workshop setting. In return two Montreal musicians travel West later in the year to engage in similar activities. The June 12 Lisbon-Montreal encounter for its part was a concise set clocking in around the 45 minute mark. It paired the musical and life partners Karoline Leblanc on piano and drummer-percussionist Paulo J. Ferreira Lopes, with two of the latter’s Portuguese compatriots violist Ernesto Rodrigues, and guitarist Luis Lopes (no relation). 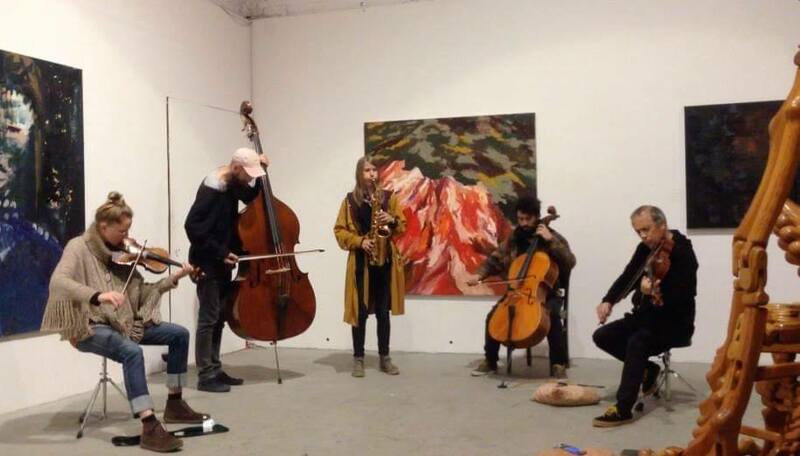 As a unit, this quartet engaged in inspired and unscripted free-form improvisation. [...] Após um curto intervalo para que o duo português se instalasse, o reducionismo continuou. Desta vez, os sons viscerais e da rua não se impuseram. O programa foi mais preenchido e estimulante e muito menos tenso. O jogo proporcionado pelos dois saxofones (Belorukov e Nuno Torres) foi bastante interessante. As combinações tímbricas, a exploração harmónica, o borbulhar, o atrito do movimento circular de uma lata de refrigerante sobre a campânula do saxofone, as dissonâncias e flutuações, pontuaram sobre os “drones” electrónicos, contrastando com a subtileza da viola de Rodrigues. Os sons mais agrestes com que Ernesto Rodrigues atacou o início do concerto (usou um papel ou folha seca e amassou-a no tampo da viola) ou os harmónicos suscitados com o arco, nunca foram estridentes. Também ele “jogou” com as suas ferramentas e soluções, sendo que as cordas foram só uma parte desse jogo. O corpo da viola foi percutido e tocado com todo o arco (crina, parafuso e vara), e pôde ouvir-se bem a ressonância da madeira. Que le Portugal soit terre de musiques improvisées, c’est devenu une habitude. 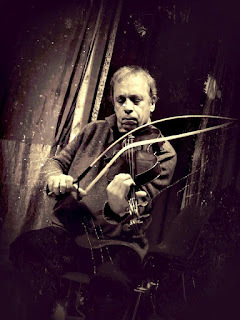 Que la scène lisboète ne soit pas avare de cordes de talents, de la guitare de Luis Lopes au violon de Carlos Zingaro, c’est un constat qui ne prend guère de temps pour être validé. Singulièrement grâce à l’insatiable travail d’Ernesto Rodrigues, acteur lusitanien incontournable de l’archet qui anime à l’alto depuis quelques années le Lisbon String Trio (LST). 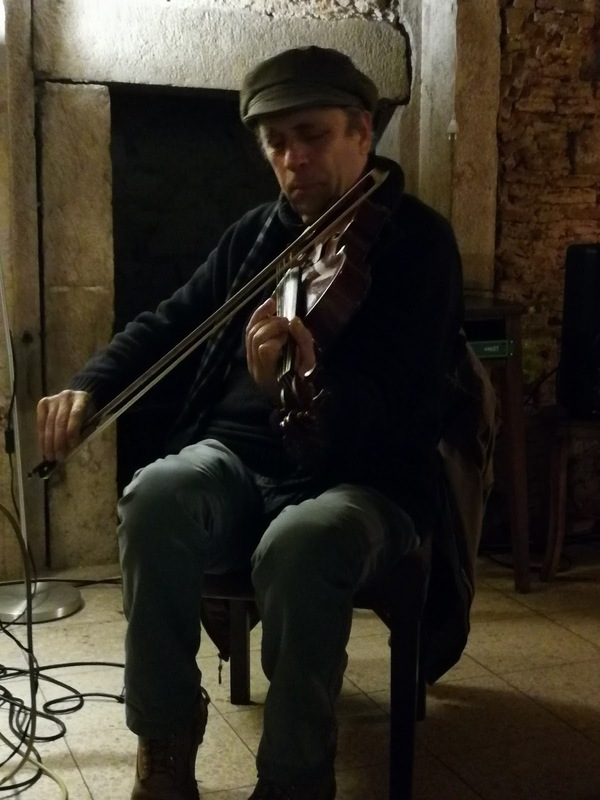 Ses compagnons sont immuables : Miguel Mira au violoncelle et Alvaro Rosso à la contrebasse. Les compositions instantanées et collectives de l’orchestre s’inscrivent souvent dans une lecture très contemporaine - une expression que Rodrigues côtoie voire tutoie depuis des décennies. Ernesto Rodrigues n’est pas le plus connu des musiciens de la péninsule ibérique, du moins dans l’Hexagone. Enregistreur infatigable, fondateur du label Creative Sources qui nous offre des pépites , il s’est saisi du format dématérialisé pour illustrer ses rencontres, tisser des liens et témoigner de manière régulière de ce qu’il faut considérer comme un constant work in progress. En cinq albums assez courts, dont un en trio simple, le fougueux Proletariat, le LST se lance tous azimuts à la rencontre des improvisateurs de tous continents sur une courte période, entre mars et mai 2017. Il ne s’agit pas du plaisir de l’infinitude ; c’est au contraire une volonté de remise en question ou en danger, d’apprendre et d’assimiler les univers et les langues des autres. Ainsi sa rencontre avec la pianiste québécoise Karoline Leblanc dans Liames, qui définit l’intensité tout en conservant de la distance. En accompagnant le piano dans son rôle de quatrième instrument à cordes, travaillé à même ses entrailles, le trio convie Leblanc à étendre son jeu tout en s’intégrant parfaitement dans le dédale d’archets que bornent Mira et Rosso. On trouvera semblable relation avec l’incroyable tromboniste italien Carlo Mascolo dans Intonarumori. Ce n’est pas l’urgence qui est ici convoquée mais une sorte de tension, proche du mouvement permanent, où le trombone préparé prolonge à la fois les rebonds de l’archet et la glisse du crin sur les cordes. Le souffle, totalement aspiré par la dynamique du trio augmenté, se transmute en un brouillard étrange où le moindre événement se comporte comme une entaille, un cahot dans une dynamique collective très dense et bruitiste où le silence est comme la surface d’un plan d’eau, qui se ride et se trouble à la moindre poussière. Com a mesma longevidade da Clean Feed (o seu primeiro disco data de 2001) e semelhante número de títulos (vai a caminho dos 500), a Creative Sources teve no passado mês de Novembro a 11ª edição do seu festival, este ano com cinco dias de duração, indo dos três aos cinco concertos em cada sessão. Uma das mais importantes editoras do circuito internacional da improvisação reducionista, mas com um catálogo que a esse tipo de abordagem vem juntando registos de outras áreas, indo do jazz criativo à música electroacústica experimental, esta fundada pelo violetista português Ernesto Rodrigues não poderia deixar de promover um cartaz que reflectisse tal diversidade. No palco do O’culto da Ajuda, em Lisboa, passaram projectos que pouco têm que ver com a estética “near silence” promovida pelo músico, numa mobilização de tendências que envolveu tanto o Red Trio e o novo quarteto de Sei Miguel como figuras do Norte (a Free Jazz Company de Paulo Alexandre Jorge) e do Oeste (o Palimpsest Trio de Paulo Chagas, completado pelos italianos Silvia Corda e Adriano Orrú, ou a dupla constituída por Karoline Leblanc e Paulo Ferreira Lopes, “habitués” do MIA – Encontro de Música Improvisada de Atouguia da Baleia), além de formações colocadas em CD pela Creative, como o Zwann Ei Collective e Abdul Moimême a solo, convidados especiais de outros países, com destaque para Etiénne Brunet, formações nacionais limítrofes, a exemplo dos Psico-Free & Manicômio, e improvisadores com outros percursos na cena nacional, como André Hencleeday, dos Crua, ou Helena Espvall, frequente colaboradora de David Maranha. Detemo-nos sobre quatro das apresentações realizadas. A que envolveu José Bruno Parrinha em clarinetes soprano e baixo, Manuel Guimarães ao piano e Ulrich Mitzlaff no violoncelo parece ter dado o mote para grande parte do que se ouviu para os lados de Belém, com a sua improvisação camerística, muito contemplativa, em recuperação do fraseado mais convencional e da tonalidade, suave na expressão e optando por um volume que, sendo reduzido, nem por isso alinhou com as premissas da tendência teorizada por Radu Malfatti. Todos eles com intervenções em discos da Creative Sources, que não com o formato deste trio, o que tocaram ganhou a forma de uma viagem, leve nos voos empreendidos, mas de pronunciado efeito introspectivo, convidando o público a fechar os olhos e deixar-se ir. A violinista Maria do Mar e a vocalista Maria Radich estenderam a colaboração que vêm mantendo há alguns anos a um clarinetista brasileiro radicado em Barcelona que já se tornou um nosso visitante regular, Luiz Rocha. Talvez devido à diferença de configuração musical trazida por este, Radich saiu a espaços do âmbito da glossolália e do “speaking in tongues” que têm já a sua imagem de marca para entrar num canto sustenido e harmónico que deriva das suas práticas na pop e no rock (é membro das bandas Abztraqt Sir Q e Ovo) e que, neste contexto, resultaram em cheio, trazendo novas dimensões à narrativa criada e equilibrando-se da melhor maneira com os argumentativos violino e clarinete baixo. Um dos protagonistas maiores da cena francesa do jazz, com um currículo feito de parcerias com nomes como Fred Van Hove, Jac Berrocal, Anthony Coleman, Jean-François Pauvros e Sunny Murray, o saxofonista Etiénne Brunet teve um par de intervenções em duo, uma com Monsieur Trinité e outra com Miguel Mira. Nesta esteve particularmente próximo do que lhe é habitual, com um discurso jazzístico assumidamente “old school”, algures no cruzamento das linhas de influência de um Jimmy Lyons (no alto) e de um Steve Lacy (no soprano), num discurso acentuadamente melódico. Algo breve foi o concerto com o violoncelista português, este sempre muito eficaz na construção de envolvências e respostas ao trabalho dos saxes. Ficou evidente que Brunet queria continuar, mas Mira deu por finda a actuação poisando o instrumento e levantando-se quando sentiu que estava realizado um “statement” e que qualquer acrescento seria redundante. O String Theory foi um dos grandes ensembles constantes na programação, entre o Suspensão e a Variable Geometry Orchestra, com a particularidade de integrar apenas cordas – se bem que com um piano incluído, nas mãos de Rodrigo Pinheiro, que surpreendentemente se deteve mais no teclado do que no interior do dito. 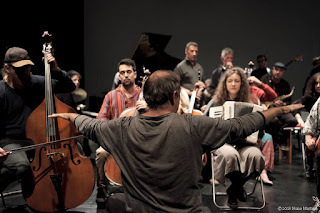 Com quatro violoncelos (Guilherme Rodrigues, Yu Lin Humm e os já mencionados Mitzlaff e Espvall), quatro contrabaixos (João Madeira, Gianna de Toni, Hernâni Faustino e Marc Ramírez), dois violinos (Maria do Mar, Filipe Murat), a solitária viola de Ernesto Rodrigues, duas guitarras acústicas (no colo a de Miguel Almeida, deitada e sujeita a preparações a de Moimême) e um saltério (Hencleeday), ficou demonstrado como uma improvisação pode ser dirigida dentro da própria música em vez de sobre ela, a partir de fora. Rodrigues introduzia as situações, olhava em volta para verificar se os restantes as tinham empreendido e todos o seguiam. Le CS Fest XI a eu lieu à Lisbonne du 21 au 25 novembre dans la salle O’Culto da Ajuda, traduction approximative : le culte de l’aide, l’occulte de la solidarité. Etienne Brunet y était et en était. Compte-rendu. La culture miraculeuse de la musique créative sera bientôt à la mode ! Au pays du Fado résonnera l’intervalle Fa dièse-Do bécarre, la fameuse quarte augmentée, « Diabolus in Musica » de l’improvisation exubérante. CS Fest XI est situé à Belem, vers une des sorties de la « ville blanche » le long du « Rio Tejo » au bout d’une impasse quasi introuvable dans un dédale de petites rues derrière le palais présidentiel. Pas de lumière. Pas de flics. La salle de concert polyvalente orientée musique contemporaine est très bien équipée. Tenue à bout de bras par Miguel Azguime. Deux tiers de scène pour un tiers de gradins. Très haut de plafond. Acoustique fantastique. Le festival est organisé par Ernesto Rodrigues et le label : Creative Source. Le public est composé de passionnés d’improvisation, d’aficionados de la creative music et des gens de l’underground lisboète. Les musiciens écoutent réellement leurs collègues. Ils ne font pas semblant, comme en France, pour s’enfuir dès que possible. Aucun touriste à l’horizon. Pourquoi No Groove ? Parce que j’avais vendu cette proposition d’article avec ce titre. Je le trouvais super et l’ai utilisé comme nom du groupe avec lequel j’ai joué dans des boites de Lisbonne. J’avais renoncé à écrire un article et puis finalement je fais les deux. « Personne n’a voulu croire en moi, même comme menteur… » (Fernando Pessoa). Confusion créative. Je suis juge et partie. Ce n’est pas déontologique, mais logique en période de crise. No Groove est une sorte de courant d’air musical de free music contemporaine affluent du tempétueux free jazz historique. Une conscience du tempo dissoute dans une nappe sonore brutiste. Un Groove de l’absence. Un No du refus de la musique commerciale. Je rentre chez moi passé deux heures du matin. La ville blanche est déserte empêtrée dans un profond brouillard bleuté qui dissout les lumières orange de l’éclairage public. Chaque soir il y a quatre performances. J’occulte les noms de musiciens et vous les donnerai dans le désordre à la fin de l’article. Au lieu d’écrire des généralités sur chaque concert particulier, je vais traiter ce festival comme un gigantesque concert de dix heures, beaucoup de musiciens participaient à trois ou quatre formations différentes. Comment détourner le vibraphone de sa stabilité sonore ? Un frottant des secondes majeures avec un archet au lieu des mailloches et en plaquant des accords complexes. Ensuite la guitare trafiquée semble résonner de la rumeur du bruit des avions qui survolent en permanence Lisbonne, la piste d’atterrissage est juste à une sortie de la ville. Autre écho lointain des gigantesques bateaux porte-containers bourrés des produits en série de la mondialisation. Ensuite Psico-free & Manicômio, un quartet de fous furieux dont la polyrythmie est utilisée comme refus de notre société du spectacle. Pour terminer le Suspensao Ensemble. Suspension du son et des certitudes esthétiques. Les adorateurs du silence sont une dizaine de musiciens à jouer pendant une demi-heure à moins cinquante décibels maximum c’est-à-dire le niveau sonore du tic-tac de votre montre mécanique, triple « ppp » si la chose était écrite. Impression très spectaculaire d’absence d’événements. 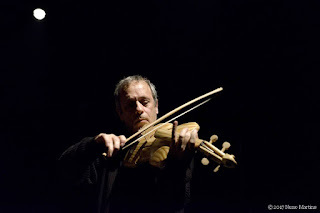 Je n’ai écouté ni le premier ni le troisième groupe parce que je jouais en seconde position avec Miguel Mira, violoncelliste de génie. Tant pis ! Je fais une exception à ma règle d’occultation des noms et vais vous tartiner mon ego… Miguel est le musicien idéal. Nous sommes de la même génération. Vieille école. Nous jouons un free aventureux, virtuose avec une écoute télépathique. Excusez du peu comme dirait un vrai journaliste. J’écris masqué. Je n’y suis pour personne. 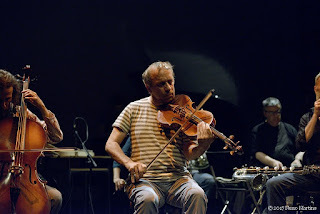 Dernier concert de la soirée avec les quinze musiciens de la Théorie des cordes, probable référence à la théorie avancée de la relativité générale improvisée par des groupes de violons, violons altos dont Ernesto Rodriguez, l’organisateur et chef discret, violoncelles, contrebasses, guitare, dulcimer et piano. Le matériau sonore très fluide avance comme un monolithe spatial en plein essor dans la bande de fréquence de l’univers. Le robot Facebook me propose de rester chez moi parce qu’il pleut. Après une longue sécheresse, le pays est en liesse. Je démarre la soirée en jouant avec mon vieil ami, le percussionniste Chico-go-blues. Nous lisons mon texte simultanément en portugais et en français. « L’impro c’est le chaos. Le chaos est les prémices de l’ordre. L’ordre est l’arrivée de la mélodie. La mélodie déclenche le rythme. Le rythme déclenche la vitesse. Accélération démesurée ! Tout se casse la gueule dans un bruit énorme. Mystère de l’entropie. » Magma sonore. Langue intermédiaire à racine latine. Les trois groupes suivants donnent un échantillon de la scène portugaise actuelle multiforme et bouillonnante. Pour finir un extraordinaire trompettiste légendaire et méconnu. J’ai l’impression d’être à Berlin, juste avant la gentrification galopante, même exaltation créative d’artistes enthousiastes prêts à jouer pour le plaisir. Lisbonne quant à elle se fissure petit à petit sous les infiltrations de la mondialisation. L’immobilier grimpe. La pauvreté augmente. Crash Saudade. Scratch Nostalgia. Brutal Nova. Free jazz Company, excellent groupe avec un nom synthèse splendide de free jazz et free music. Puis Palimpsest, on gratte la free music pour trouver en dessous le free jazz puis on continue à gratter et on trouve la musique classique. Ensuite le Red Trio, le groupe que j’ai préféré du festival. Ils ressuscitent une sorte de trio FMP que je ne nommerai pas. La bonne musique ne meurt jamais. La musique écrite se transmet par le biais du texte. L’improvisation sublime se transmet par capillarité dans l’air du temps. Soudain la fin d’une improvisation arrive au détour d’une note, évidente autant pour l’auditeur que pour le musicien. Pour terminer IKB ensemble, un autre grand orchestre d’une vingtaine d’instrumentistes spécialisés dans le silence ensoleillé. Impression de vide et de repos, mais tout le monde sait que le silence n’existe pas. A l’écoute de l’enregistrement, si l’on perd le repère fictif du zéro décibel (seuil de référence d’intensité sonore), on découvre le monde microscopique de l’infiniment petit de cellules complexes et d’objets minuscules, inaudibles comme des micros processeurs puissants et quasi invisibles. Je passe devant les carreaux de faïence bleutée de la station de métro Parque gravés de citations et dessins. « C’est par la musique qu’a commencée l’indiscipline » (Platon). Ce pourrait résumer ce festival porteur de la musique du proche avenir. La notion de désordre sonore représente tellement notre société que toutes ces musiques à base de boîte à rythmes symbolisent la dictature Mainstream. Dans peu de temps, les futurs auditeurs des médias généralistes auront les oreilles explosées. Ils remplaceront le niveau sonore excessif d’une rythmique dictatoriale par le chaos amusant de l’anarchie sonore de la musique créative jouée à un niveau acoustique modéré. Une sorte de décroissance de la production de musique. Maintenant tous les styles coexistent. Il n’est pas question du combat de l’un contre l’autre, mais de circuits multiples, de démarches parallèles, de tribus organisées. Méfiez-vous : si vous n’y prenez garde, la musique créative pourrait devenir la musique politiquement correcte. En tout cas, la free music est bien vivante et c’était une surprise, même pour moi. La rage est inexprimable avec un métronome. Elle l’est avec le cri, la dissymétrie, l’informel, le bruit brutal, le kaput play à s’arracher la gorge. Malgré tout, le mauvais esprit de l’absence de rythme est dommageable. Les syncopes restent l’oxygène de la musique.